Well first of all for those of you that care I apologise for not posting for over a month. Unfortunately real life has been in the way, nothing serious just “admin”. 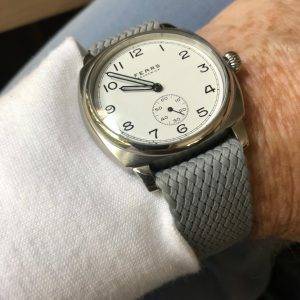 However whilst I have been away the world of British watches has not stood still, there is an increasing stream of interesting content to read, watch or listen to. In particular watch podcasts are appearing with increasing regularity. One person that has already been the subject of a very listenable Time4apint podcast is Nicholas Bowman-Scargill of Fears. The latest Fears newsletter flagged another interview this time by the gentlemen of the Wrist Time podcast. This is really worth a listen, Nicholas’s passion and enthusiasm really comes through, also that of interviewers. Be careful though, his sentiments are contagious, so you might finish the podcast with a strong need to buy one of his Brunswick watches. 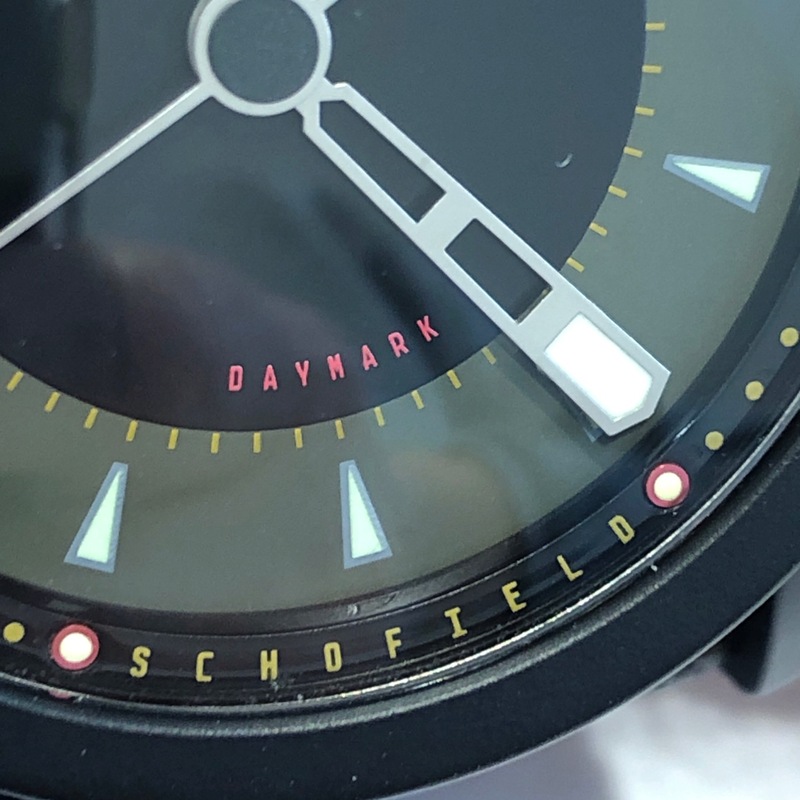 I was very happy, after a couple of not too subtle hints, to be offered my second Schofield watch to review, the Daymark Dark. Unfortunately due to a lack of communication the watch sat in reception of my office for a few days. However, on opening the outer packaging the first impression you get of this watch is a lovely smell of wood from the beautifully detailed wooden box. Once out of the box and onto my wrist I expected the overwhelming impression to be “black” given the distinctive 44mm Schofield case, instead the first feature that really stood out were the “pink” anodised hardhats filled with Super Luminova C3 that sparkle above the number indices. Not in a blingy way, just making themselves playfully noticeable on what would otherwise be a more muted dial. A detail that I would not have expected from Schofield. Unfortunately, my iPhone photographic skills are such that I was not able to get a picture that demonstrates this surprising feature. The Schofield case design is worth mentioning again, as it has now become so recognisable that there is really no need for further branding, probably realising this Schofield make you search the dial very closely until you “Schofield” find printed on the bottom edge of the chapter ring. 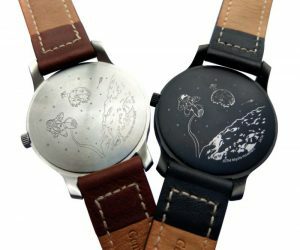 Will they every make a watch with a different shaped case? There are still plenty of materials they have not used yet after all. 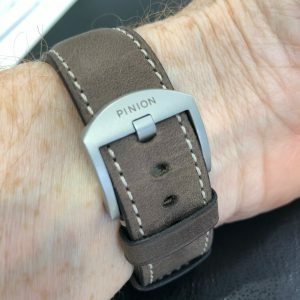 Would a slightly smaller version work for female wrists ? So, the Daymark Dark uses the same case dimensions as Schofield’s Signalman and the other members of the Markers range. Although it has been made from one piece of vapour-blasted stainless steel, the shine and sheen of the Daymark’s case have been replaced by the a Black ceramic coating. This ‘traditional matte’ coating is in the lowest band of gloss that is possible to attain by modern standards. In terms of scratch resistance it is, again, right at one end of the spectrum as it clocks in at a 9H in the Pencil Hardness Test which is the most scratch resistant that a coating can be rated. To give you an idea of the resistance, when sprayed continuously with water two and a half times as saline as seawater the ceramic coating was over ten times as resistant to corrosion as stainless steel. As you would expect the Daymark Dark features the same tried and tested automatic movement as the first watch in the series, an ETA 2824, which is visible through the display case. Personally I am a huge fan of Schofield’s engraved case backs. Whilst it is interesting to see the automatic movement working, I feel it makes it look a little lost inside in the large case. 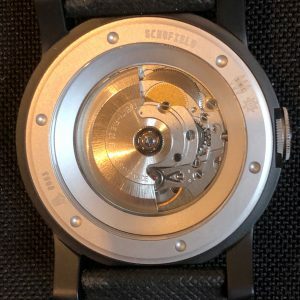 I am sure Schofield would offer a solid caseback if requested. Another Schofield feature present is the distinctive crown with nail notch milled into the case with a deep groove running around the circumference. These two details make it easy to pull the crown out. This groove also indicates the ‘affordance’, the action required of the crown, teeth to show rotation and the groove to show pulling in and out. 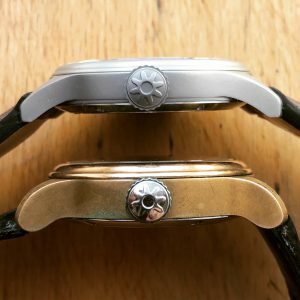 I reserve my last comments for the 24mm strap, as we expect beautifully made and held to the watch head with screwed bars. Whilst these provide a secure attachment they are super fiddly to undo. Luckily I do not have any other 24mm straps in my draw so I was not tempted to try the Daymark on anything else. The Daymark Dark, makes a really nice addition to the growing Schofield range and as with the other watches, there are of course many ways to make these already ready distinctive pieces even more personal. I am really looking forward to seeing the what variants on this cas Schofield come up with in 2019, and if they stick with the core design. This another brand that I have just discovered via Instagram. I would probably have ignored them when I first started this blog as they make a range of quartz watches. Experience has taught me that this recently is the start of many interesting young British brands, Elliot+Brown, Fears and Fare to name just a few. 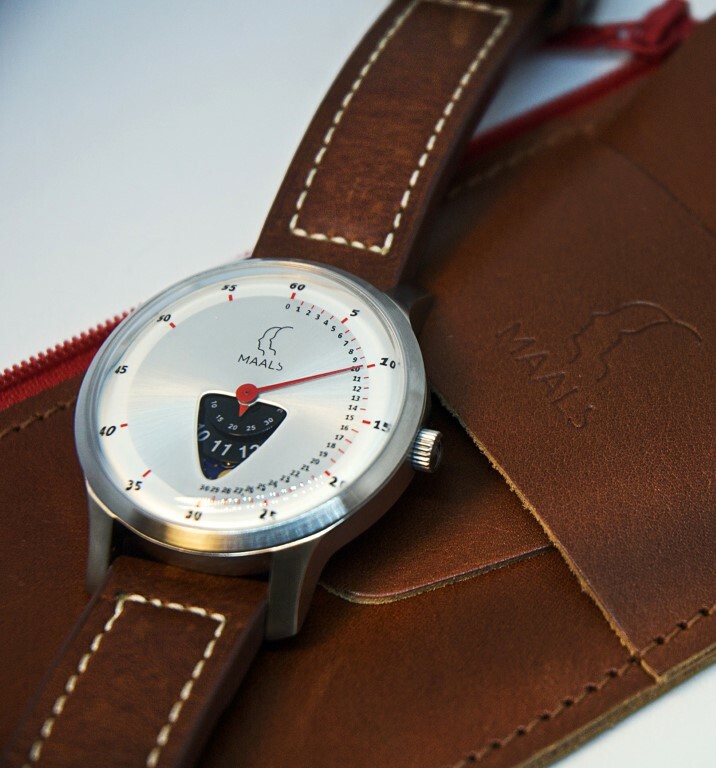 So let me introduce you to Maals watches. The company was started by two brothers from Warwickshire, Mark Anthony and Andy Lee Sealey – MA + AL + S = Maals. 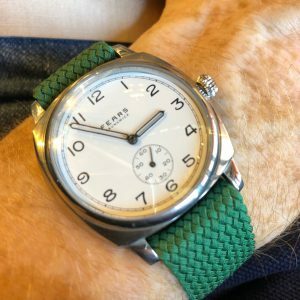 Like many of us the brothers shared a passion for watches, Mark was even taught the basics of mechanical movements and repairs by an older neighbor from an early age. 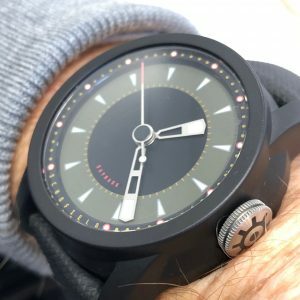 They decided to take a chance and start their own company creating eye catching, high quality affordable watches that they themselves would be proud to have in their own collections. All of their watches are designed in the UK influenced by a love of all things design, Italian cars and 70’s classic watches. The watches are available for pre-order on their website for £249. So for me it could all have stopped here with two reasonably priced eye-catching watches. However remembering my premise that many new British companies have started with quartz movements I contacted the brothers to see if they had any plans to go mechanical. The good news is yes. They are working three/four designs. So from what I can glean online this should be a brand to keep an eye on. Hopefully I will get to see a watch in the steel soon. 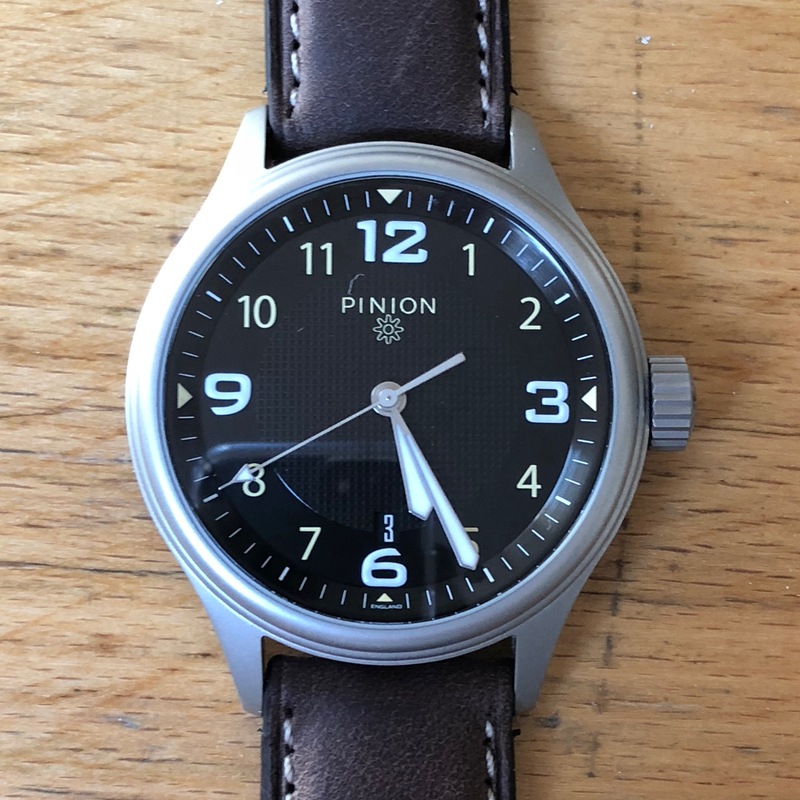 For a couple of months I have been the proud owner of a rare first series Pinion Atom, which are now no longer available. 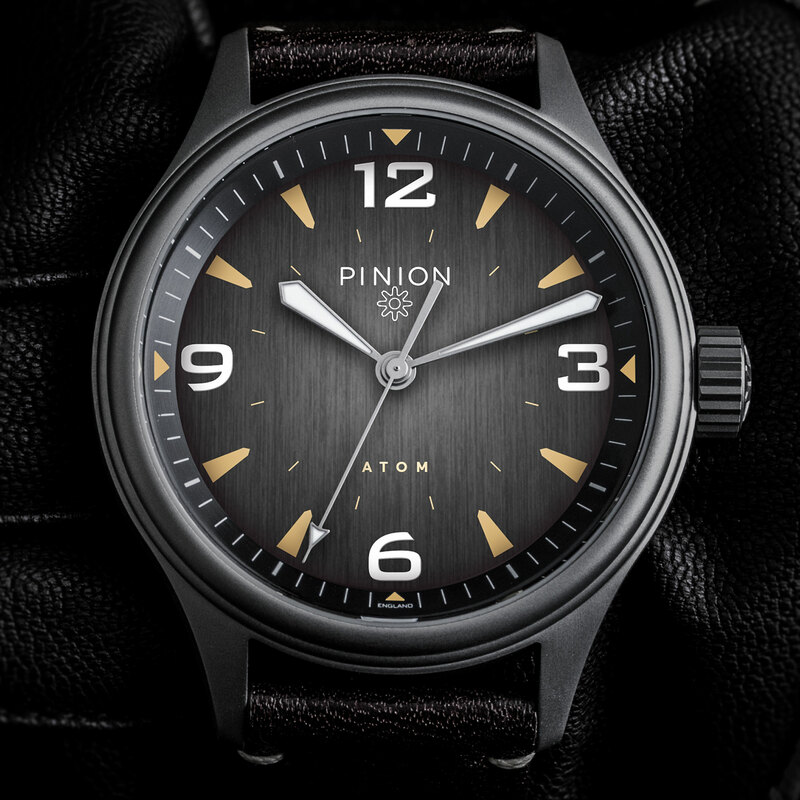 For those of you not familiar with the Atom, it is the first watch from Pinion to use a Japanese Miyota movement. At £790, this watch offered a lower entry price than that usually associated with Pinion, whilst maintaining many of the qualities and design elements for which the brand has become known . 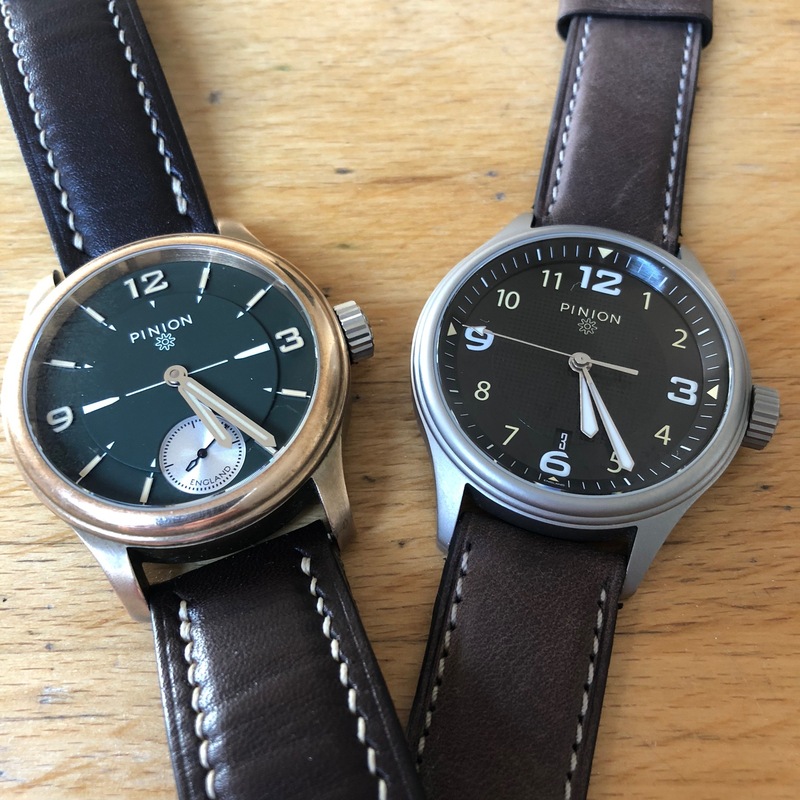 As the owner of a Pinion Pure Bronze I was very keen to compare the two watches. Next to the Pure the obvious difference is the case material and size. The Atom having a 41mm bead blasted steel case. Then their is the movement, the Miyota 9015 being an automatic. The Atom case is slightly shorter than the Pure and has 20mm lugs rather than 22mm. Despite these differences the two watches are very clearly from the same parents. Which given the price difference is by no means a small achievement. I am a big fan of manual movements, I am attracted to the apparent simplicity and the ritual of winding the watch in the morning. So initially hearing the movement of the automatic rotor in the Atom was a little disconcerting. 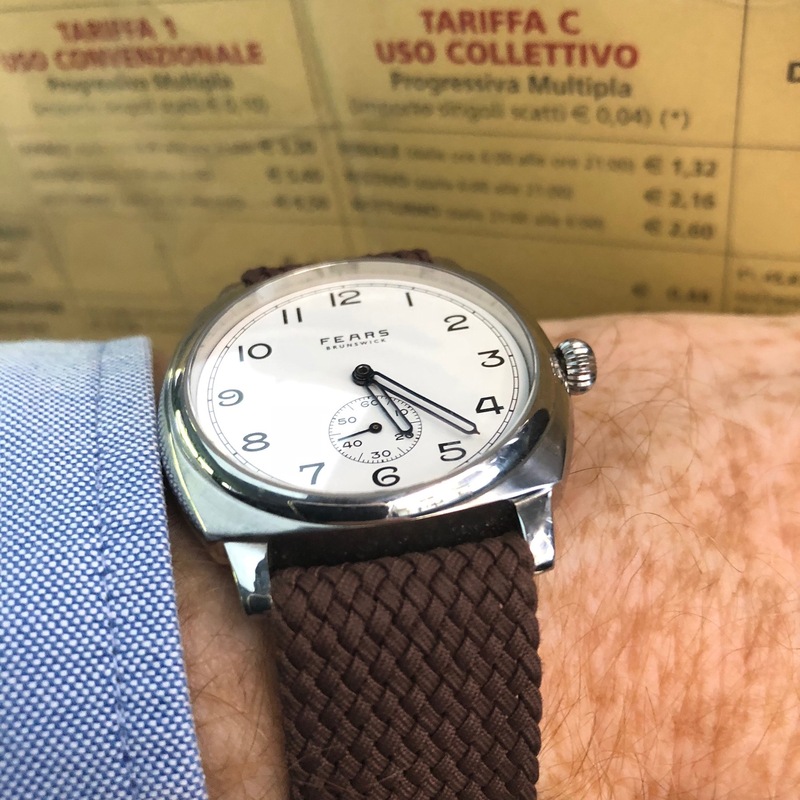 I have seen other reviews mentioning this, but once I compared the Atom to other watches in my collection in particular a Seiko 5 it is fair to say “they all do it”. The other difference to many of my watches is the date window. This is a feature I personally unnecessarily clutters the dial, as without the aid of glasses I am usually unable to read. So getting these minor gripes over with I would like to cover the overall experience of living with the Atom. 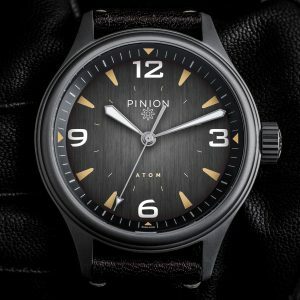 The dominant feature is clearly the beautifully finished black dial with a gillouched machined centre and the sword hands, This shape hands being a first from Pinion . The detailing belies the apparent simplicity of this field watch style dial, with numerals in the Pinion style and the two different levels of black. The small date window placed above the 6, the numerals of the date wheel also use the same Pinion font. Details that become evident if you give this watch more than a quick glance. Finally, for those with very good eyesight the word England appears beneath the six. 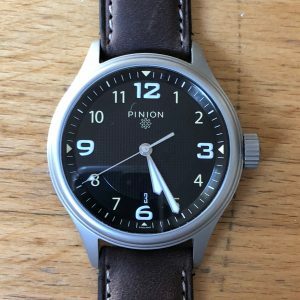 The 41mm bead blasted steel case that possibly represents a new direction for Pinion. The Atom being the first to feature bead blasting. This has now been followed by the Atom ND, and the recently announced TT (Twin Time). In my hands this finished has proved to be very resilient. I use this watch as my “doing things” watch and there are still now signs of scratches or blemishes of any kind. 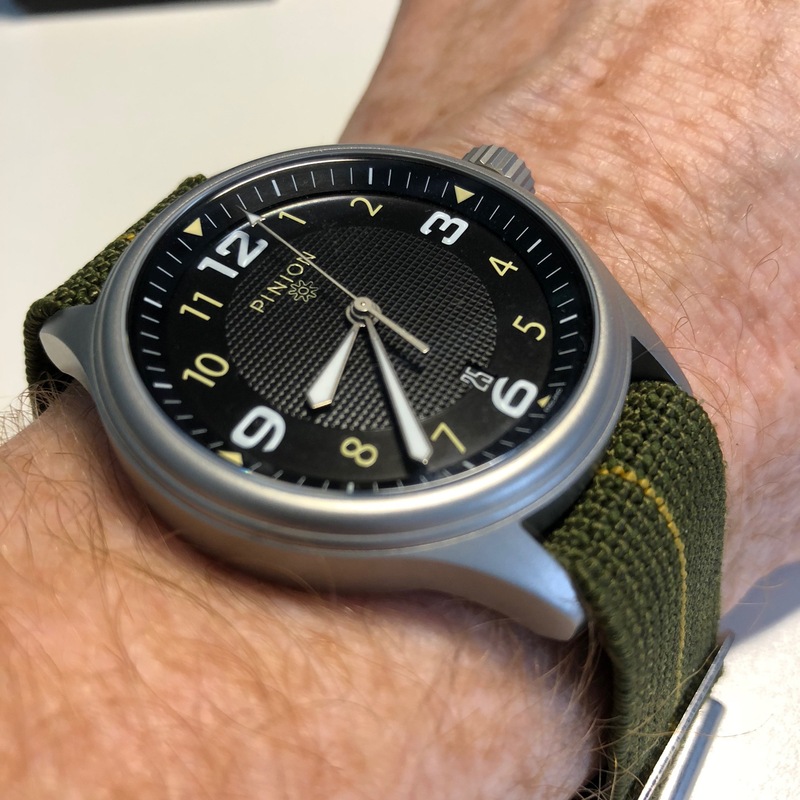 The lugs are the now almost standard 20mm which is a godsend for habitual strap swappers like myself, although I wondered whether a slightly larger 22mm might not have suited the watch a little better. For anyone who dedicate less time to strap switching than me this watch was supplied with a lovely rugged brown leather strap with a neat looking branded buckle which rather than the more usual spring bars is attached with little screws. Turning the watch over you find a solid case back. I have never been a fan of display backs, especially on tool watches. As you see the Atom case back is tastefully decorated with an Atomic design. 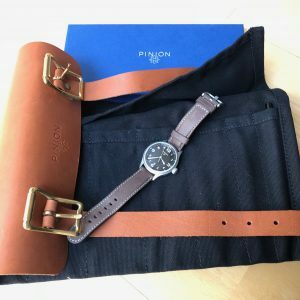 Then should you need any more convincing that this is a practical watch, instead of coming in a beautifully designed box, for which you have to find cupboard space for, it comes in a beautiful handmade watch roll. 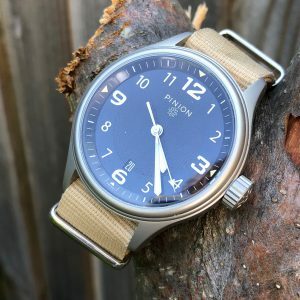 I think Pinion have managed to pull off nicely the idea of a well designed and finished watch at a lower cost. It will be very interesting to see where this watch leads. As mentioned above we have already seen some indications of this direction with announcement of the TT and the short run of Atom NDs (No date). Farer’s launch of an automatic chronograph took me a little by surprise, mainly because it was my first week back from my holidays which meant me having to catch up on paying day job. This is not the first time this has happened since the brand appeared in 2015. I must get better at seeing their PR releases. The new range consists of three versions the Cobb (above), the brown dialed Eldridge and mint handed Segrave. The 39mm cases are built around the Swiss-made ETA 2894-2 Élaboré movement. 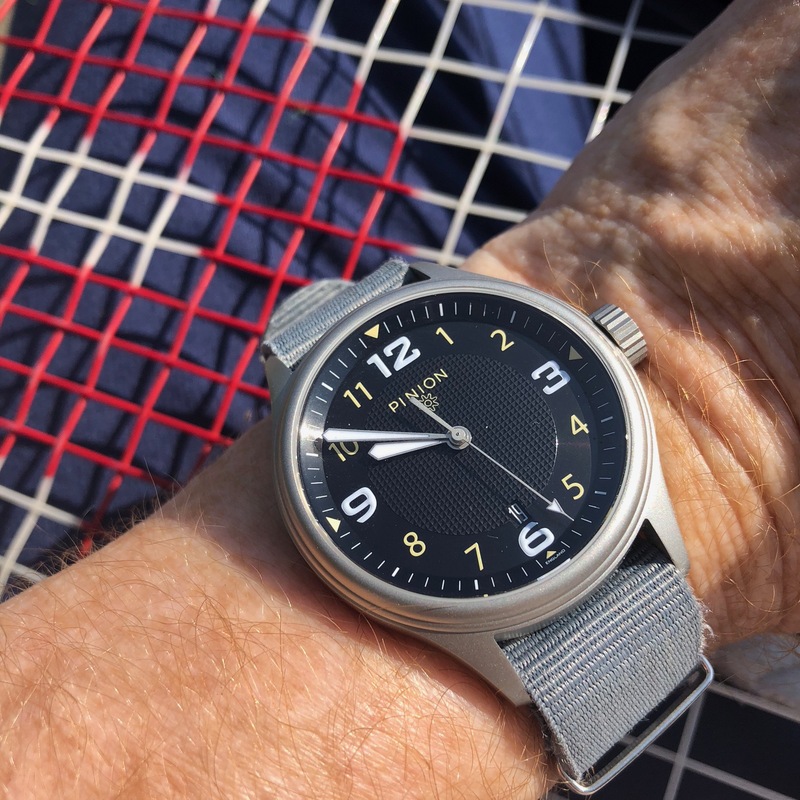 The 316L stainless steel outer case profile has a depth of just 12.5m, the drop lugs should keep the straps tight to create a case that hugs the wrist. 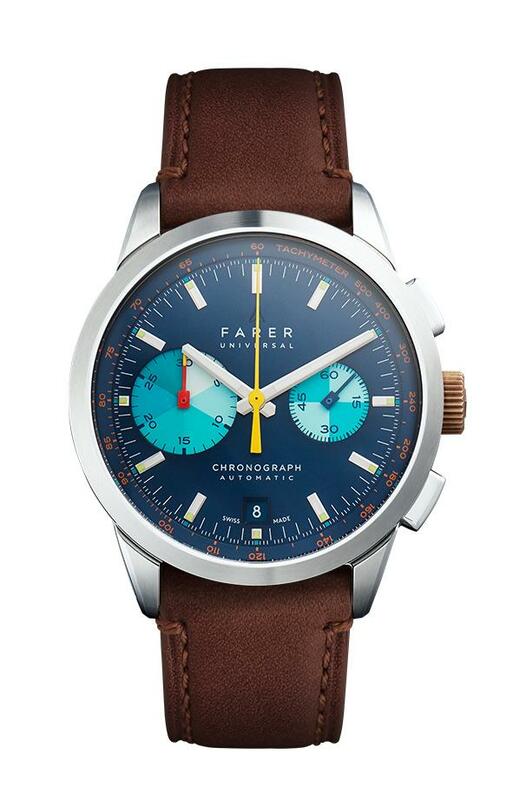 These new additions to the Farer range nicely follow the design code of the previous models of traditional looking case designs combined with modern color ways on their dials. 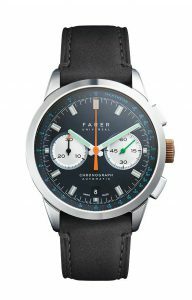 I have still yet to try any of the Farer range so must reserve final judgement but these very individual pieces do look great value at £1675. 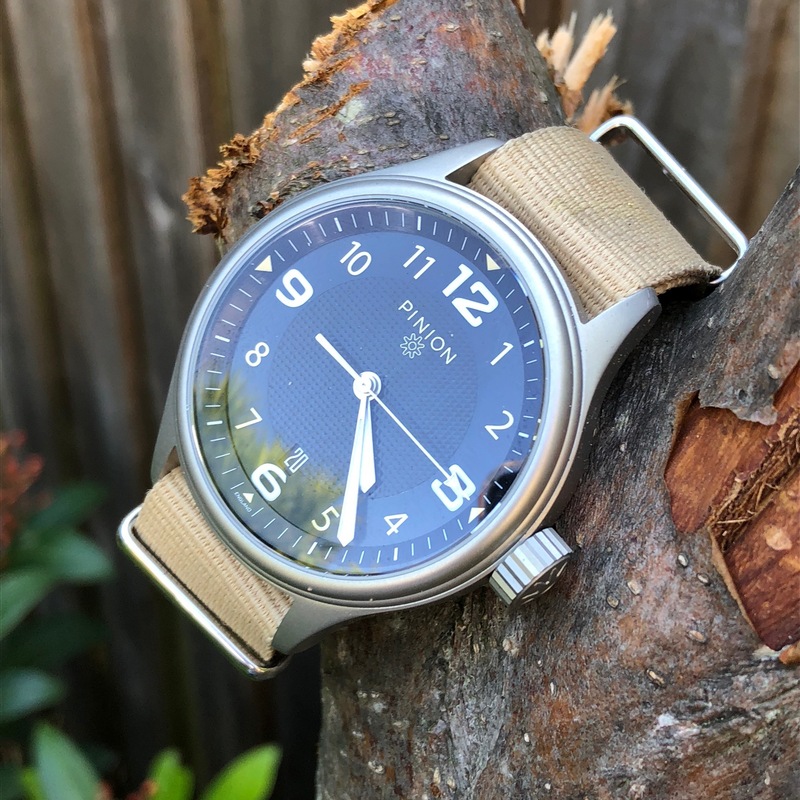 The launch of the Vertex M100 made many of us non-military specific watch enthusiasts familiar with the concept of the “Dirty Dozen” , a series of watches built by different manufacturers to British Ministry of Defence specifications. Given the number of watches and the limited numbers of particular watches available this is quiet a difficult collection to complete. For those wanting a different challenge I have recently discovered the “ Fabulous Four” , or 6BB aircrew chronographs from the ‘70/80s. Four companies were contracted to produce these watches over that period: Hamilton, CWC, Newmark and Precista (prior to the 1970s there had been others). 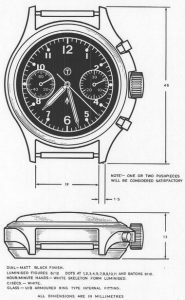 These watches were based on the MOD specification DEF-STAN 66-4 (Part 2) issued in April 1970 which included a small but significant change from its previous version of 1969 . 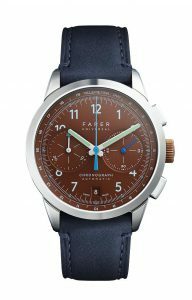 It allowed for pilot’s chronograph cases to feature either one or two “pushpieces,” or buttons, to control the watch’s chronograph function. That change allowed for manufactures to use the cheaper Valjoux 7733 movement. 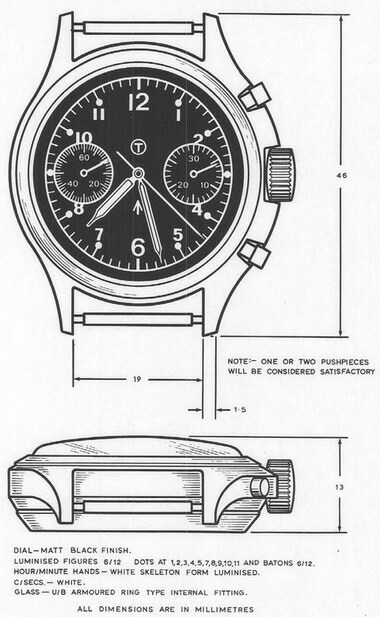 These mechanical chronographs were eventually phased out in favour of watches with quartz movements. 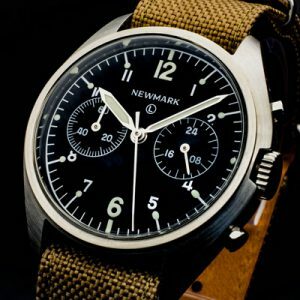 Modern versions of three of the watches CWC, Precista and Hamilton are available and now the Newmark version is being re-launched via a Kickstarter offer this month. This watch re-edition is of the watch issued to RAF crew in 1980 but with the modern a reliable Seiko VK64A Meca Quartz movement. The initial images look promising. For those making an early commitment the watch will be available for £200. 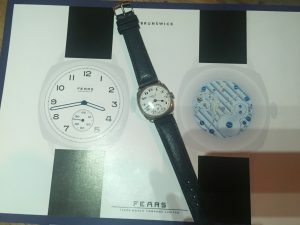 I am keen to understand more about this watch although my initial thought are slight disappointment at the choice of movement, I would have preferred to see a mechanical one. However, I reserve judgement until I actually see one of the watches. If you are interested you can visit the companies website. 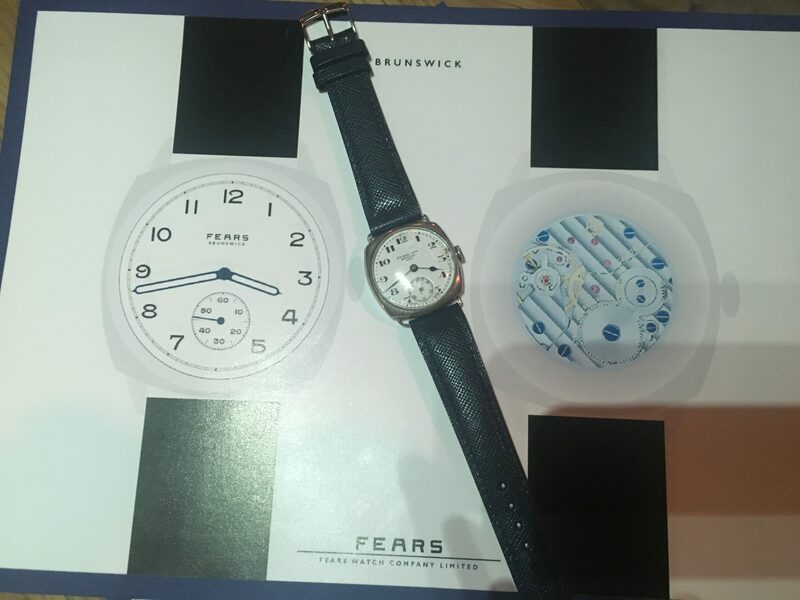 I have been following very closely the development of the Fears Watch Company since before the launch at the Salon QP two years ago. The company launched with the very nicely built quartz powered Radcliffe range. 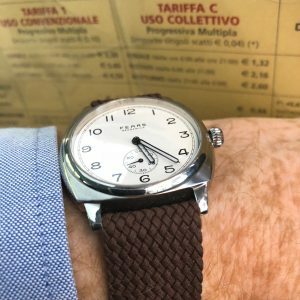 This was an understandable first step for the relaunch of a company, self-funded by the young Nicholas Bowman-Scargill, but does limit the appeal of the watches to many watch lovers. During my various conversations with Nicholas I understood that he would at sometime in the future launch some more traditional mechanically powered watches. With this in mind I was excited when we arranged to meet to chat about the next Fears developments. Nicholas excitedly pulled out the Redcliffe Continental, still quartz powered. We spent sometime discussing the obvious merits of this addition to the range. Then came the real surprise, these drawings below, for a hand wound mechanical watch. The Brunswick, named after the location in Bristol of the old export department, was launched at last years Salon QP to considerable acclaim. 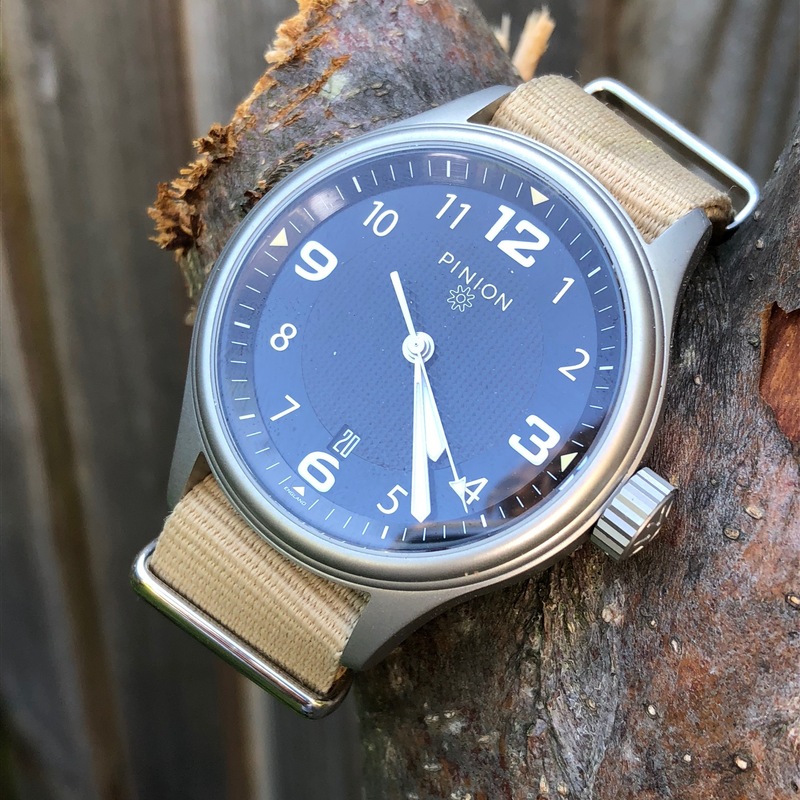 The watch has been made in batches of fourteen, so there are not many available, so when Nicholas dropped me a note offering me the chance to review an example of the watch I jumped at it. The watch I have been wearing for the last week is the prototype, which Nicholas pointed out does not have the brass movement ring of the production watch and should not be considered waterproof. 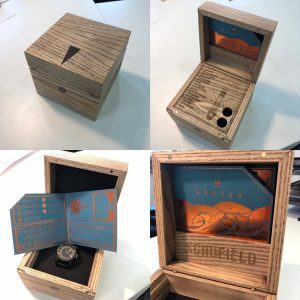 You may have read that I am sceptical about the need for large luxurious boxes for watches mainly due to the storage limitations of many modern homes. This said the box from Fears is a work of art, so maybe I can reconsider. 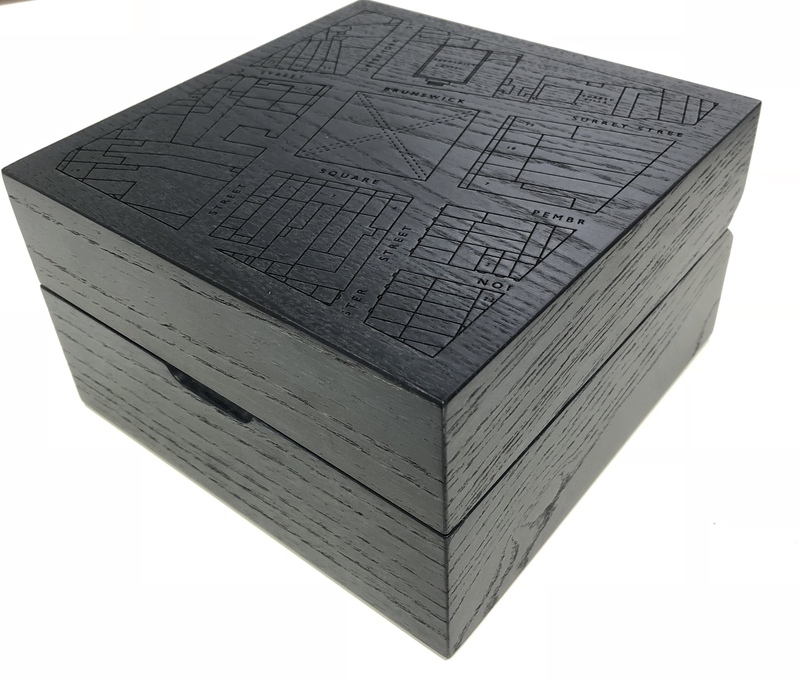 As you will see from the pictures the black ash box features an engraved map of Brunswick Square, which is just one of the amazing details. The watch arrived with a beautiful black leather strap, which as an irregular suit wearer, I find a little too formal for everyday use. I therefore swapped it over a series of Perlon straps which add to the slightly retro feel the cushion case gives. For the summer I particularly like the light grey strap. Having said that I was also quiet keen also on the versaltilty of the brown version as well. Then if you want to feel even more summery, you could try a brighter perlon – green maybe. I also tried a blue Fears leather strip from my colleagues Redcliff Continental, which combined very well with the really nice blue skeleton hands which are such an important feature of this watch. I think I have demonstrated what a versatile watch the Brunswick is. It could really be all the watch you need that watch many enthusiasts are searching – the “one watch”. Apart from versatility what makes this watch “one watch” material is the detailing and quality. The more you look at it the more you notice, from the different finishes on the various surfaces of the case, to the beautifully traditional looking cold enameled face. 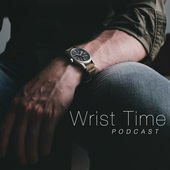 If you listen to Chris Mann’s excellent Time4apint podcast about the Brunswick , Nicholas explains in quiet some detail the extra ordinary amount of work that the British watchmakers, that he works with, put into making this beautiful cushion case watch. So thanks to Chris I am saved the time of going into a great deal of detail, which I would anyway do badly. 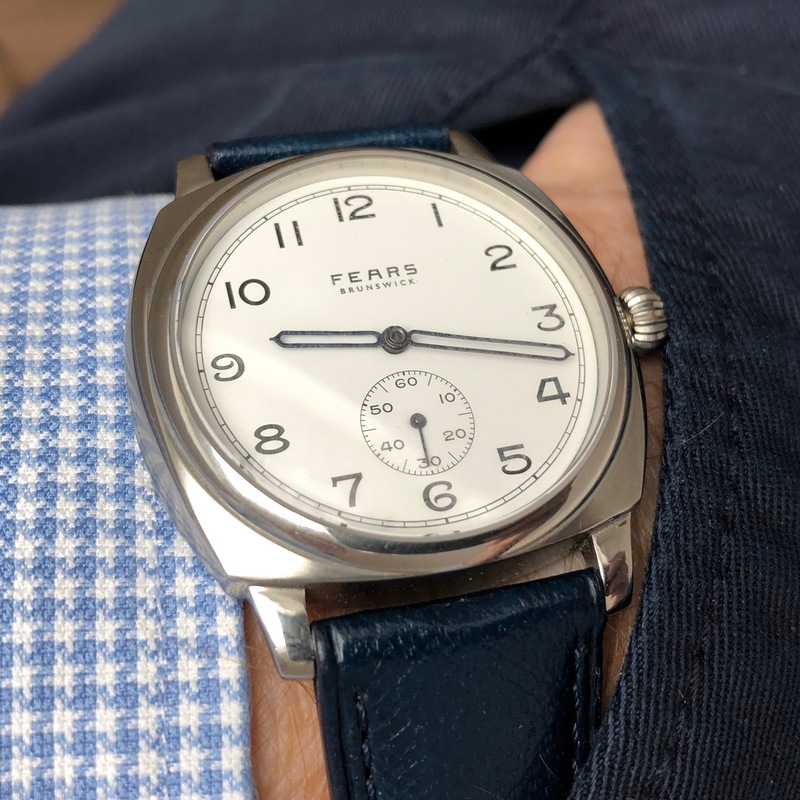 In conclusion this is a lovely watch that shows what this young brand is capable of – I for one am really looking forward to see what comes after this – watch this space. So until I get my hands on one please have a look at this article. The original batch of Pinion’s entry level watch should by now all be sold. For anyone that was not able to get hold of one all is not lost I recently received a newsletter announcing a release of a further 30 Atoms, These watches will differ slightly from the original principally by not having a date window. a feature that will not be missed by those of us who have difficulty in reading date windows on the vast majority of watches. As you will see the dial design will also be returning to the familiar Pinion use of only 12,3,6 and 9 numbers. Whilst I am writing about this new watch I thought it might also be a great opportunity to reflect on my experiences with my original Atom. This watch has now become my goto “doing things” watch. 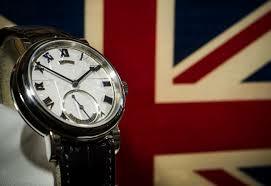 It enables me to wear a British watch in riskier situations than would feel comfortable with other watches. It has effectively taken the place of my Hamilton Khaki that previously filled that role. The Atom is suited to this use for several reasons. It has 10 ATM water resistance, the case is slim so less likely to be bashed and of course the bullet proof Miyota automatic movement. Japanese automatic movements have always given me the idea they can take more punishment than their European cousins. For the summer and to increase the “doing things” suitability I have chosen to swap the really nice original strap with its great buckle with a variety of fabric straps. Although this strap is too nice not to return in the autumn. Below is my current favorite, a green MN from Erika’s Originals, The elasticity and the absence of the need to “fold back” making these straps for me the “thinking man’s” nato. With these comments I am maybe getting my blog entries in the wrong order, a proper review of the original Atom should have come first. Be sure I am onto it. 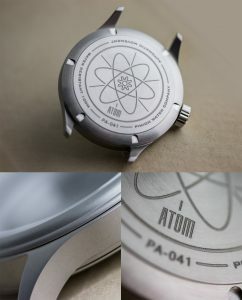 Just in case you cannot wait here are the essential details of the original Atom. 20mm Handmade leather strap ( in various options ). I am full of admiration for the people I have met who have launched their own watch brand. I have spoken at length with several about the trials and tribulations before watch they want to present to the world is ready to be marketed. Two of the companies that have emerged since I have been blogging are Hamtun and Marloe, neither of which I have had the the chance to meet in person. These two companies both chose to fund their watches via the crowdfunding website Kickstarter. Hamtun with their value divers watch, the H1 and Marloe the hand wound Cherwell. The thing both brands have is their founders have chosen to give some insight into the design process and why they made certain decisions on their company websites. Interesting references for anyone thinking of following in their footsteps. And then below is a video from Marloe watches discussing the design process.